Two books of four Uzbek writers, who are currently or were previously jailed in Uzbekistan for political motives, are published in London, the UK. The books include the prose of Mamadali Makhmudov, who writes under Evril Turan penname and was released after 17 years of imprisonment in 2013, and of Emin Usman, who died in custody of the Ministry of Internal Affairs in 2001; the second book includes poems by Dilmurad Sayid, a still imprisoned well known journalist and a human rights activits, and of Khayrullah Khamidov, a sportscaster and an author of religious and spiritual radio shows. The first books is entitled Bu Tog’lar – Ulug’ Tog’lar (These Mountains Are Magnificent Mountains). It includes the “Immortal Peaks” novel and the “Foggy Days” novelette by Mr. Makhmudov and the “Root” novelette by Emin Usman. Both novelettes are published for the first time. The second book—“Inmates’ chants”—includes poems by Mr. Sayid and Mr. Khamidov. Poet Yodgor Obid, who currently lives in Austria, wrote the foreword. Most of the poems are printed for the first time. 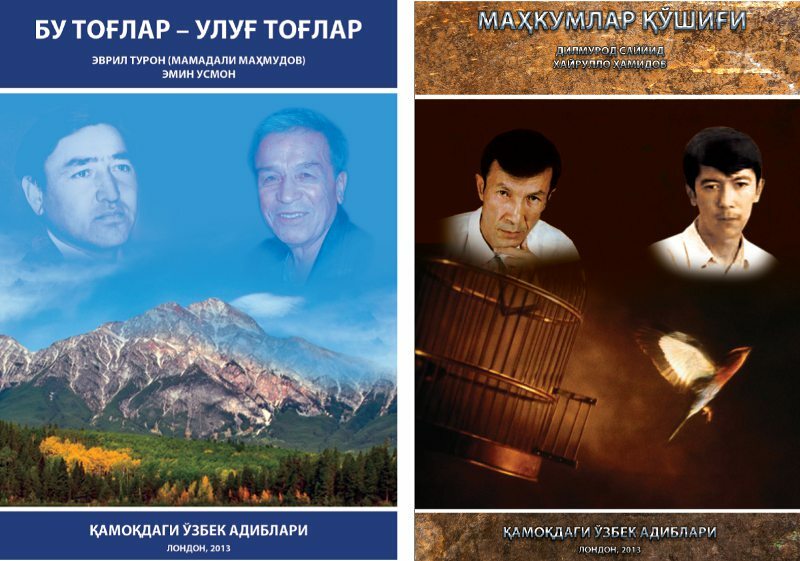 The Uzbek authors’ books were published at the recommendation of the English Pen-Club’s “Imprisoned writers” program and at the financial assistance of the Open Society Institute. The .pdf version of both books will soon be made available online. To obtain free copy, please contact uzbekwriters@gmail.com.